It had been almost a year since our last visit to Sycamore in Lansdowne, PA. It’s hard to believe that this dining spot, located within walking distance of where we all grew up, is now listed by Philadelphia Magazine as one of the Top 25 Restaurants in Philadelphia. 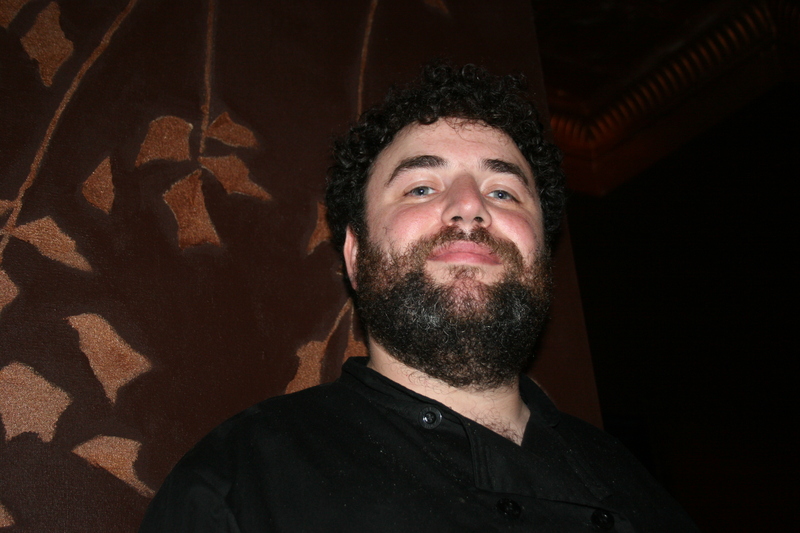 We had each enjoyed our previous meal there and I was anxious to pay even more attention now that Chef Sam Jacobson had achieved a certain notoriety. 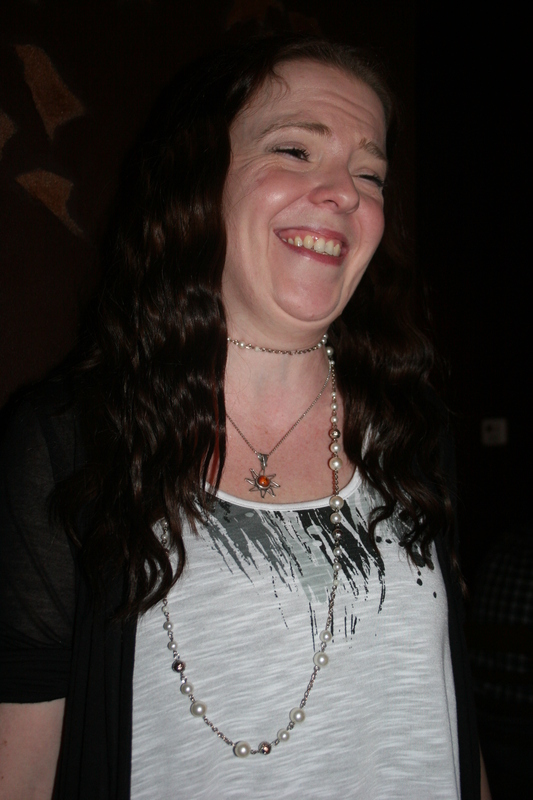 Our server, Jamie, had a terrific personality and was efficient and professional in seeing that we enjoyed our evening. We never felt rushed despite the fact that we spent way too much time chatting before even looking at the menu. It was a Wednesday evening which meant the Casual Prix Fixe Menu for $29.00 was available. It was essential that all five of us opt for that style of dining and in the end we decided to just order separately from the regular menu. My wine for the evening was one that I had heard mentioned often on the wine boards but had never been able to find in any of our local wine shops. I think I finally found this one a few weeks ago at Wine Works in Marlton. 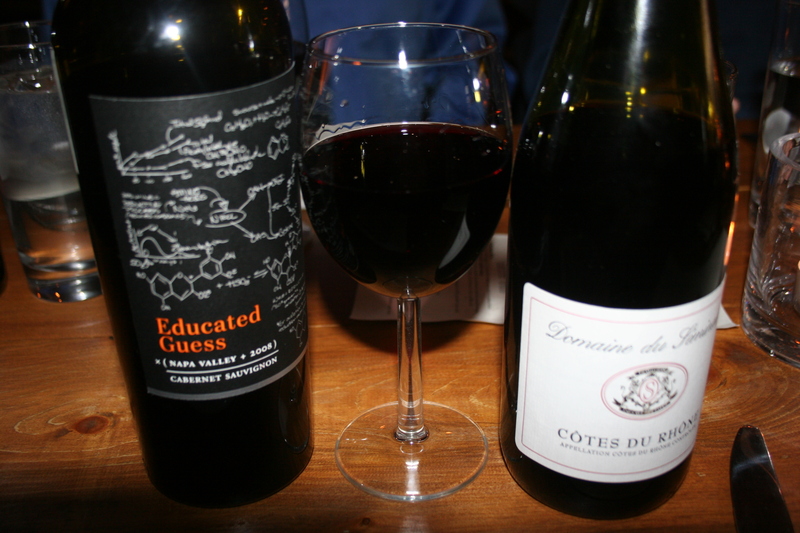 It’s the 2008 Educated Guess, Cabernet Sauvignon, Napa Valley. It’s hard to find Napa Valley cabs under $20.00 that deliver as much flavor as this one. I was totally impressed with the balance and structure of this wine and would score it 92 points and I am making a note to add more of this to my cellar. After we placed our order Jamie brought us an amuse bouche, herb roasted wild boar with sweet potato ricotta puree. Excellent way to start a meal and certainly not something you have every day. There was not a lot of variety in our choices as four of the five selected the same appetizer. 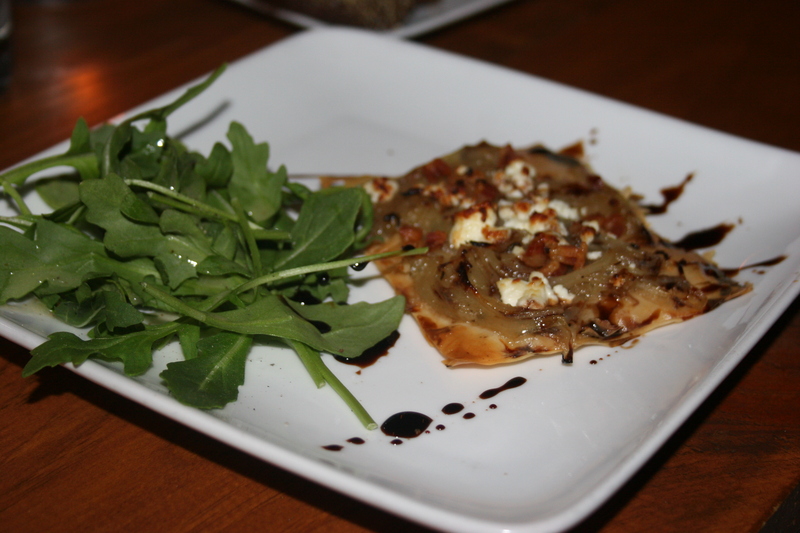 Everyone but myself chose the Pancetta and Goat Cheese Tart, phyllo crust and deep caramelized onions. I had this on our first visit and remember it as being wonderful and the four who silently devoured it seemed to be in complete agreement. I would have ordered this again except that I wanted to try what seemed like a very simple, basic dish. 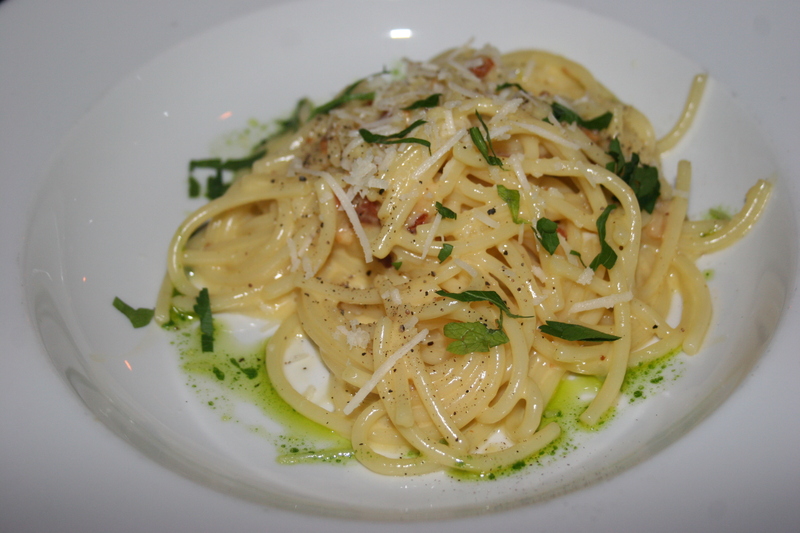 I selected the Spahetti alla Carbonara, cream, bacon and locatelli. This is absolutely a case of words not doing justice to the food. Trust me, I know it sounds simple but every morsel of this dish was absolute perfection on a fork. The flavors were subtle yet intense. The pasta prepared flawlessly. Quite possibly one of the best starters I have had in the past year. Kudos to the Chef! Once again four of the five of us went with the same entree, making for a dearth of pictures at this meal. 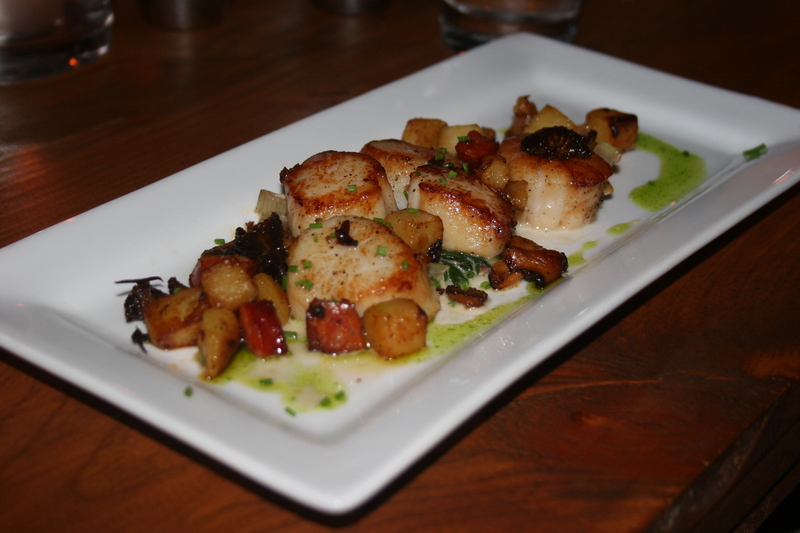 Only Ange did not go with our selection of the Seared Sea Scallops, potato, chorizo and chantarelle hash, creamed swiss chard. Another simple dish turned into culinary magic at the hands of Chef Jacobson. Just an absolute delight. The hash seemed to be married to the scallops and every bite was enticingly good. It was becoming quite apparent as to how Sycamore had achieved its lofty ranking. Ange was nice enough to share a taste of his entree, the 12oz. 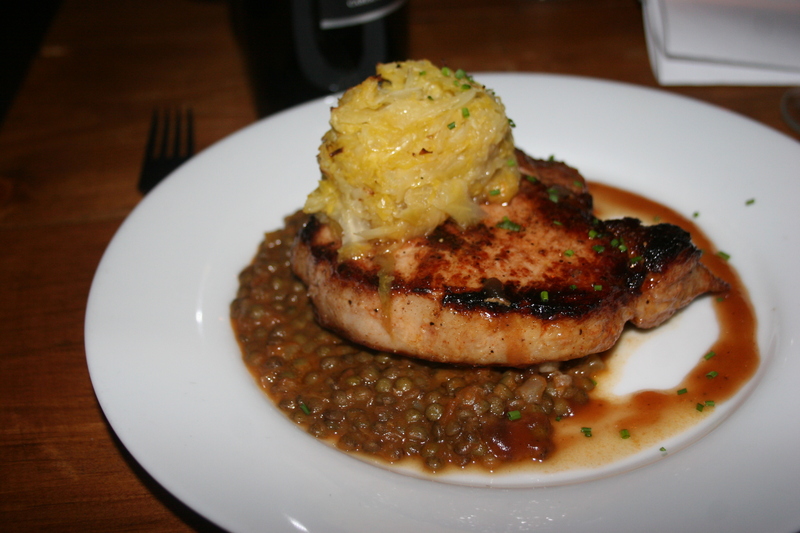 Green Meadow Farm Pork Chop, molasses, smoked paprika and cumin brined, French lentil and bacon cassoulet, local sauerkraut and apple butter gastrique. Beautiful presentation and sweet and spicy flavors dancing off of every bite of the tender chop. I couldn’t help but wonder if everything on the menu was as good as the two dishes our table had consumed. We still had room for dessert and our three choices were all very good. 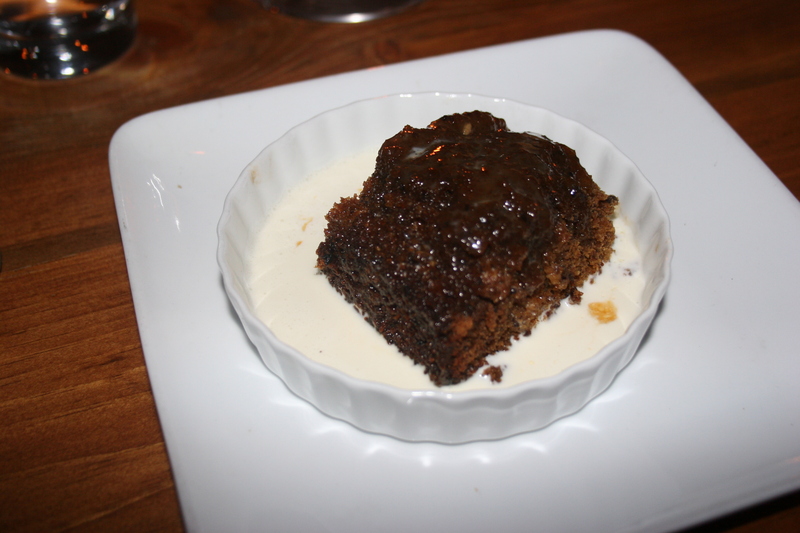 I think our favorite was the Sticky Toffee Pudding with dates, caramel sauce and fresh cream. 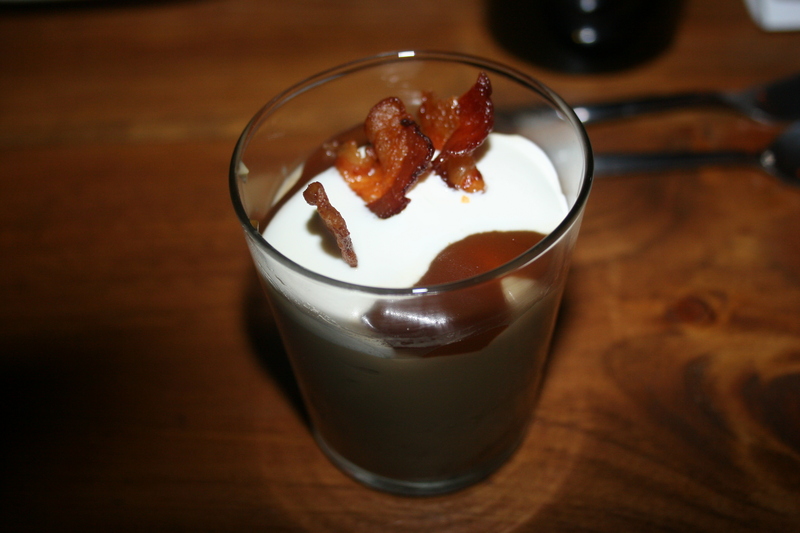 Runner-up was the Rum Butterscotch Budino, graham cracker crust, creme fraiche and crisp local bacon. 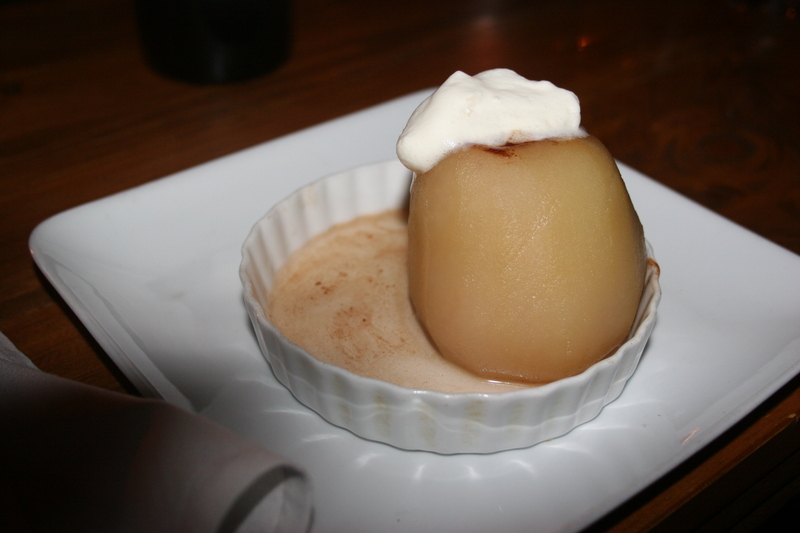 Last, but not least, was the Ginger Poached Pear, filled with dark chocolate orange ganache. As we were finishing our meal Chef Jacobson stopped by to see how we felt about our dinner. He is understandably proud of what he has created at Sycamore and we shared with him how good we thought everything was tonight. 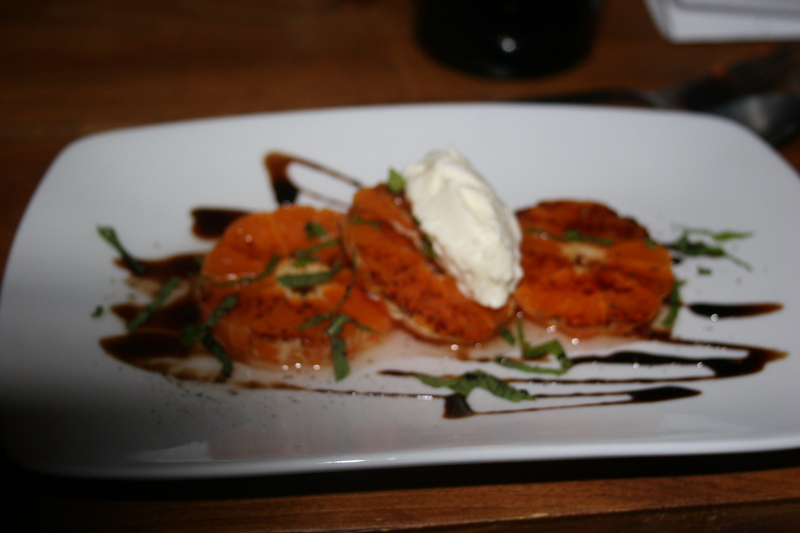 Chef treated us to an extra dessert of sugar glazed clementines drizzled with chocolate and served with creme fraiche. They were yummy. You could see by the crowd on a weekday evening that Sycamore is no longer a secret gem hidden in the Philly suburbs. If you have not yet had the pleasure of eating here I would strongly suggest adding it to your MUST DO list.